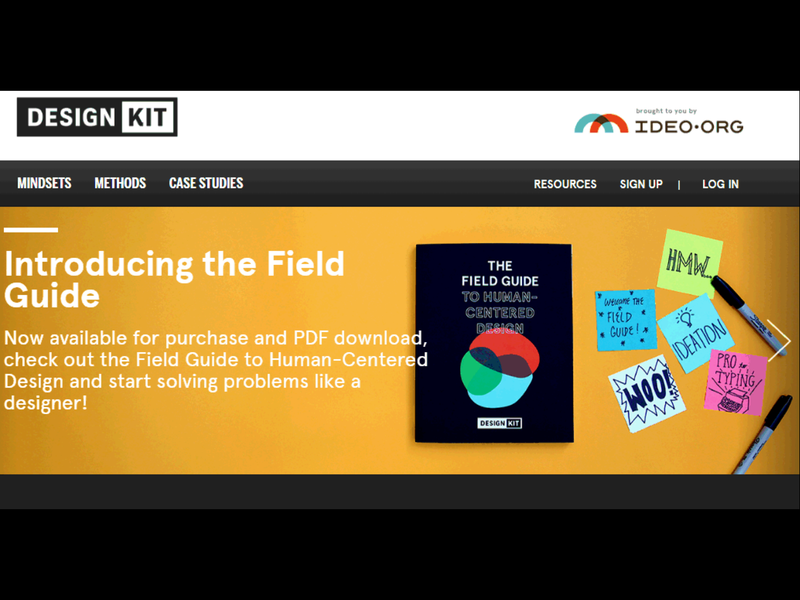 Last year, a group of colleagues and I got together to do the IDEO Human Centred Design Course. In the first session, we were presented with a mini challenge, to ‘Design a better commute’. The first step in Human Centred Design begins with in-depth interviews and research. We broke into pairs to conduct the interviews. I sat down with Nat. I worked with her nearly every day. She was one of my stakeholders. We took turns asking about each other’s commutes … but the answers were short and to the point. Yes. No. No. Yes. She is a numbers person. I am a problem solver. We are both interested in specifics. In detail. It was a short interview. The skill did not come naturally to either of us. That is what Nat and I should have been doing. We should have been exploring our commutes. This feeling of discomfort still sits with me. I feel that something is missing from my own toolbox. I want to be like Craig and James. I want to explore a problem space. I started thinking about the types of questions I was asking. I need to ask a different type of question. I need to ask opening questions. Questions that get a person talking. Questions that encourage a story. Soon after, I was browsing in Folio Books on Mary Street in the Brisbane CBD. I picked up a book on Story Telling. I have read and heard about story as an organisation tool for a couple of years. The idea is not new. On an intellectual level, I understood the argument. But … I had not internalised it. This time was different. Something about this book, and its structure and process interested me. I did not buy the book straight away. It took me a while to commit to it. And one book lead to another. Something changed for me in this learning cycle. I had put ‘story’ up on a pedestal. I had been thinking about storytelling as a novel, or something only a journalist, writer, or performer could do. That was not quite right … not wrong … it is only one part of what stories are in all cultures. I learnt that stories can be short. They can be one sentence. They can be long novels. They can be anything in between. I realised that stories are everywhere. As I worked through some the exercises I noticed that I told stories nearly every day. However, I had never thought of them as stories. Not in this way. The more I learnt the more aware I became. I could sense them as distinct bubbles or units of meaning in amongst all the other communication that happens around an office. I started to recognise the impulse I felt to tell a story. I have started to pay attention to that impulse, and think about why I chose that particular story. I have started to curate my own stories. I have started to share them in my own blog. I noticed colleagues telling stories. I noticed the story structure authors use in books and blogs to illustrate points and share complex ideas. I realised I enjoyed these books and blogs for that exact reason. The story made them more interesting. Now … I can’t stop spotting stories … they are everywhere. So how does this link back to the Human Centred Design Course? The point of the exercise is to practice research interviews. You want to discover as much information as possible. 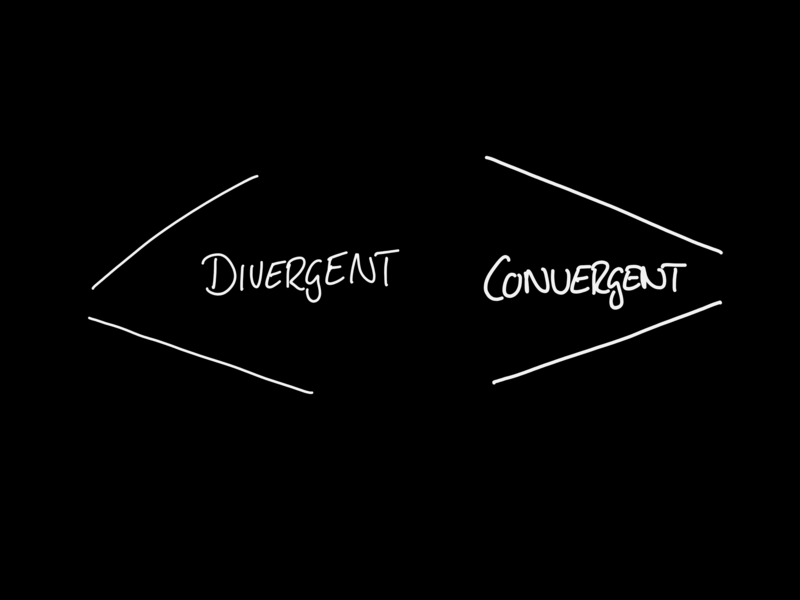 In the design world, this is the divergent phase. You are going wide as the best solutions might be on the outer edge of what you are considering. I am conditioned to think in problems, to get through the noise, confusion, and ambiguity of the workplace. My questions are pointed. I tend to for yes no answers to help me break apart the problem, to understand it, so that I can put it back together again. That is the nature of many of many of the environments I have worked in. I am called on to help clear up the ambiguity and confusion. This is what I do. I am good at it. I want to design better solutions, not define better problems. One place I can start is storytelling. I could encourage stakeholder to tell their stories. I could paying attention to the stories and understand why they were told in the first place, and what the teller wanted me to understand. And, I realised something else … I already used story. When I break a problem down, and put it back together I am telling a story. I am putting the problem back together in a way that others can understand and comprehend. This helps my stakeholders work through what they want and helps them make decisions. I can get better at telling these stories and sharing my own stories. I can use stories to sell the change. I am learning about story and trying out different formats and structures. I am mindful of the stories around me. I am thinking about what they mean and why they were told. So this is what brings me here tonight. I want to share this idea with you. An appreciation for the diversity of stories that surround us and how common they. A realisation that a story can be one sentence. A story is not a performance. And above all I hope you, like me, start to spot when they are told. To help build this skill I invite you to share your own stories tonight. To make it easier I have chosen to focus on the theme of ‘Learning’. However, don’t feel constrained by this. If you feel an impulse to share a different story … DO. We are not recording these stories and we don’t have the time to dig into them or work on improving them. I simply want you to notice that impulse, and think about the story itself, and what it means to you. What is the teller trying to communicate? Notice something about the storyteller? Notice your reaction or the groups reaction? Can you break into groups of four or fine, find a space where you can sit in a circle facing each other. No desks or tables between you if you can help it. Think of it as sitting around a camp-fire. I would like everyone to tell at least one story. If you can get through more then do. When each person has finished their story, THANK THEM. If you don’t have a story initially don’t worry. As others share their story, one will come to you. Remember this is not a performance. Use your own voice. Each story is yours. The form it takes is yours. 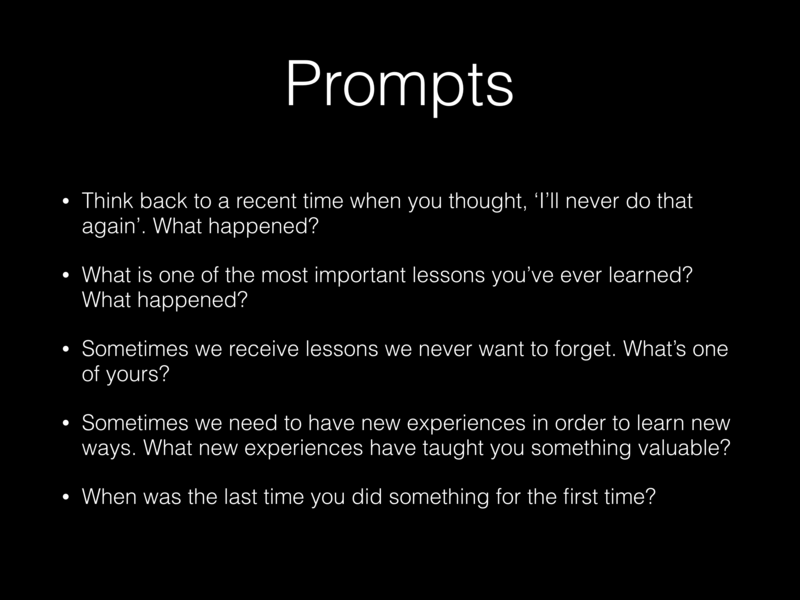 These prompts are from the free Character Trumps Credentials eBook from Anecdote. Subscribe to their newsletter to receive. First … thank you everyone for sharing your stories here tonight. This simple exercise is called a Story Circle. It is straight from the Circle of 9 Muses book. The goal of this exercise is to get you talking and sharing stories. I picked the theme of learning because that is what we do at this Meetup … it is what I am doing now. In your organisation you might choose a different them with a specific focus. I hope you found it easy to think of a story and to share the story. When thinking in terms of story we first need to encourage the telling of a story. But once we have done that, and thought about the questions we ask and how the session is framed we can take it further. A next step could be to capture and record the stories told. Then we can curate those stories. We can pick a particular story and start mining that story for meaning and information. Finally we can improve the story. 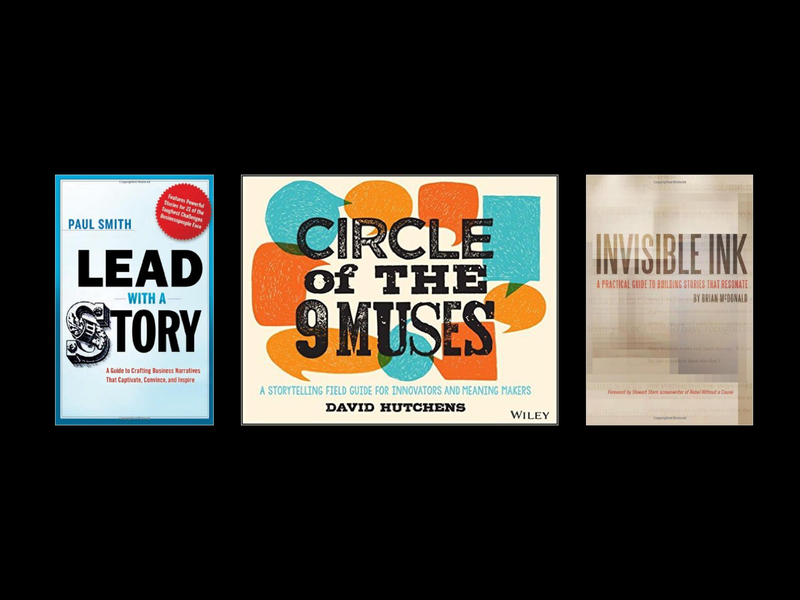 We can learn from master storytellers how to construct different types of stories for the greatest impact. My goal here was to get your talking. I hope you realised in the end how, with the right prompt, easy it is to tell a story. How is this Relevant to a Business Analyst? First, stories are natural. Anyone can do it. We all do. If you meet up with a friend, you will tell a story at some point. This means your customers and stakeholders do it. They are doing it. You will notice the stories if you are looking. Here at this meetup we share stories. 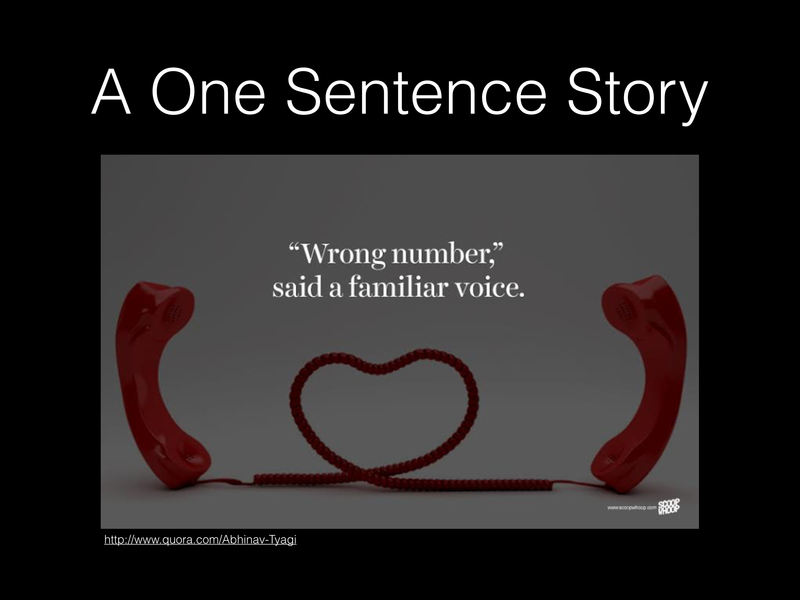 Second, stories convey meaning in a way other forms of communication do not. A collection of stories within an organisation tells you about their culture and their values better than almost any other form. This information can be useful depending on your goal. Stories also support learning. There are elements in a story that support the different learning styles. Stories are easy to remember. In this way they have a life beyond the immediate telling. If you want people to remember something, tell a story. Finally, the listeners have the freedom to come to their own conclusions. This in itself can be a powerful change mechanism. Before I close I will share a few resources if you are interested in finding out more. I had been in this role barely 9 months. I was in Singapore in the final stages of a project. I was asked to deliver training for the Accounts Payable (AP) module. My role was to teach the current team in Singapore how to use the new module. There was one problem. I barely knew anything about Accounts Payable processes, let alone the module and how it functioned. Fortunately, for me the training material existed and I was supported by an experienced consultant who was in the room with me. I often say I was only ever two pages ahead of the class in the training manual. I was concentrating hard on the step by step guide, repeating verbatim what it said. Yet I experienced these little ah-ha moments during the training. Moments where the dots connected and everything made sense. Moments where concepts I had been struggling to grasp in my preparation suddenly made sense. Where everything my colleagues had been trying to teach me gelled. That experience of those moments has stuck with me to this day. I made it through the training and did not make a fool of myself. 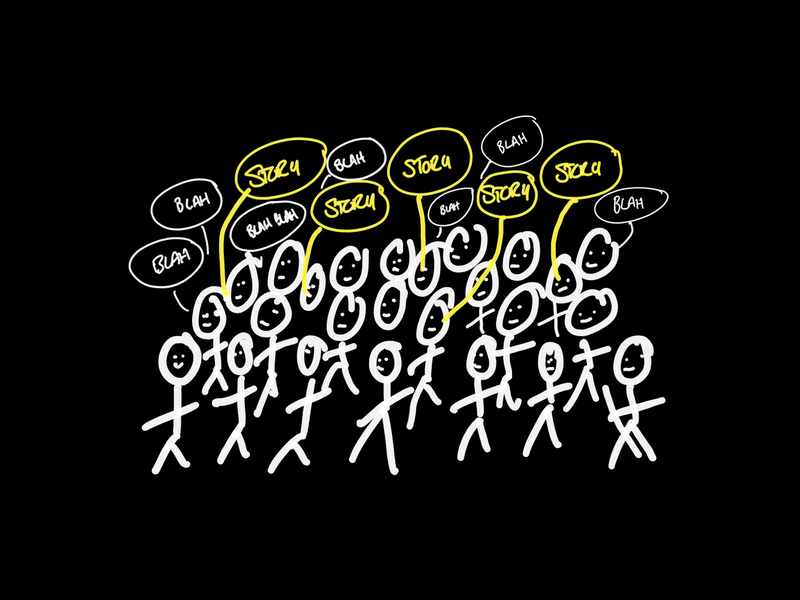 I proved to myself I could stand up in front of a group of people and communicate. Most importantly I learnt how in the act of communicating something you yourself learn. 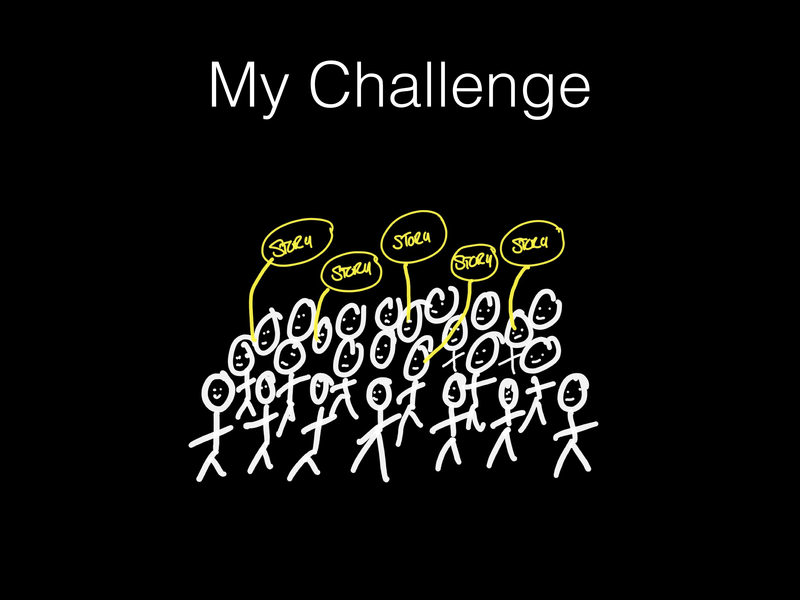 So my challenge to you is … take a turn presenting on a topic you are learning about at this BA Meetup. In the act, you yourself will learn.